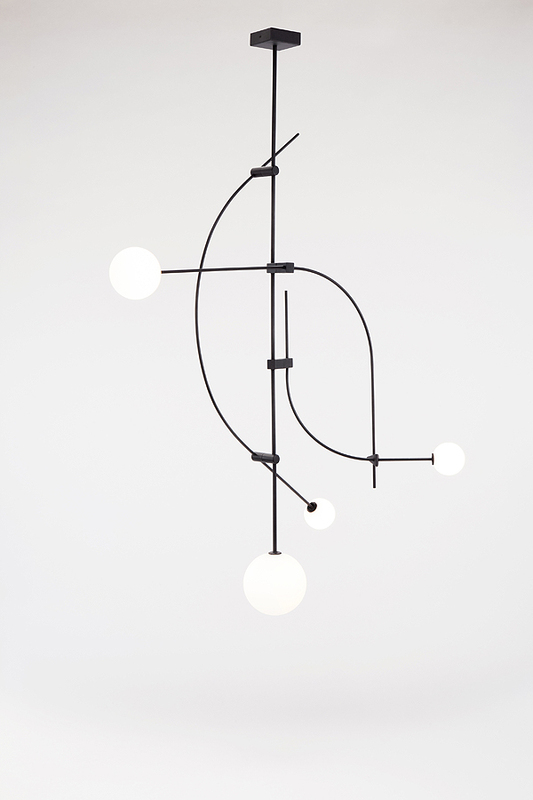 Minimal, slender and graceful, Tempo brings rhythm to a space in the form of a chandelier or wall lamp. With Tempo, Atelier de Troupe signs a lamp that brings a heightened sense of elegance through a play with light and empty space. Curves and straight lines embrace each other with geometrical connectors. Visual rhythm and repetition effortlessly occupy large. 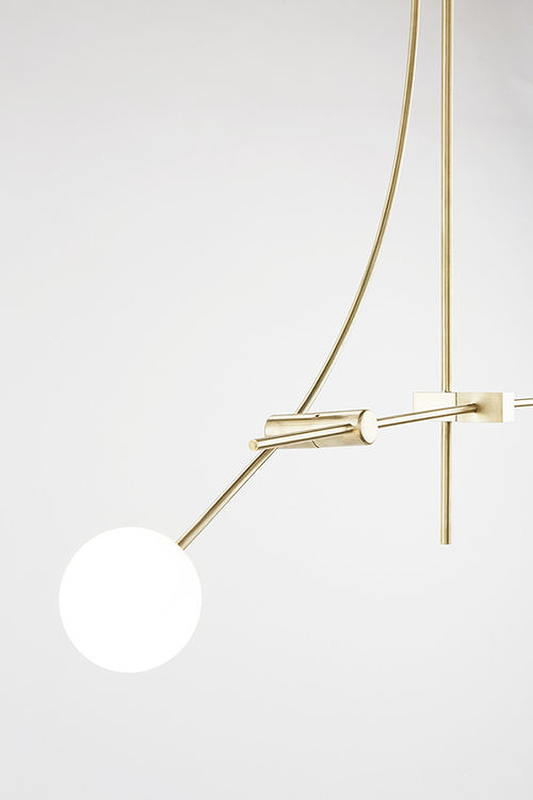 Tempo exists in satin brass or black brass editions; the glass is blown and frosted. Based in Los Angeles, Atelier de Troupe is a creative studio founded by former film-set designer Gabriel Abraham. Since 2011, he has summarized the imaginary décor of the 20th century, creating lamps and furniture with an immediately evocative power. 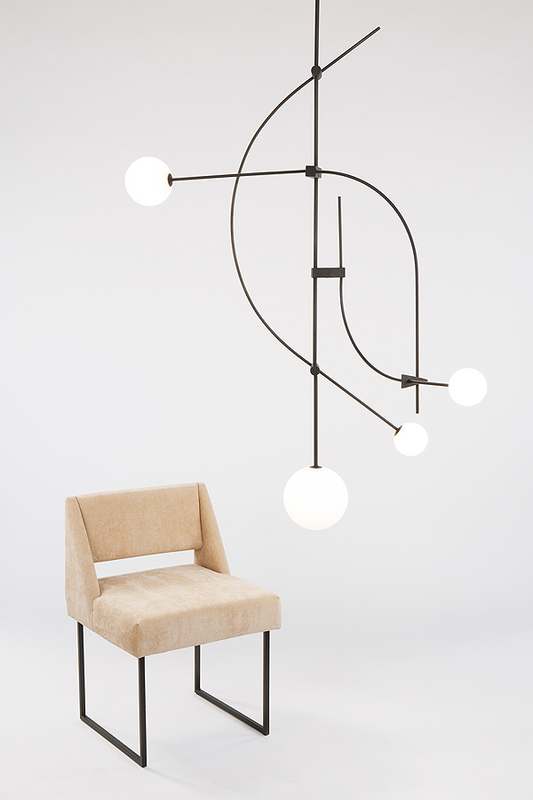 Atelier de Troupe conceives modern antiques with timeless charm, diving into the grammar of Bauhaus, of 60s Italian cinema or of French decorative spirit.